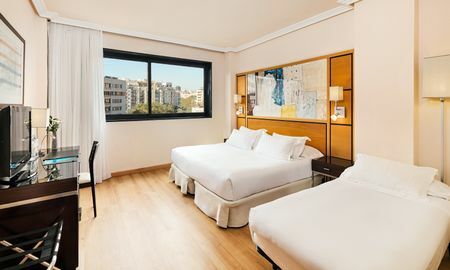 Offering a unique hotel experience and exclusive services, H10 Marina Barcelona boasts comfortable, modern rooms with luxury amenities and large windows ensuring ample natural light. 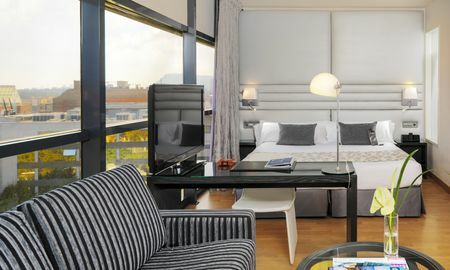 A complimentary Wi-Fi and ADSL connection is available throughout the H10 Marina Barcelona premises. Guests can savour delicious, signature dishes at Dionissos Restaurant and discover a menu of over 200 aromatic wines at La Llum Bar. Skyline Bar on the rooftop terrace provides a relaxed atmosphere by the pool where guests can enjoy refreshments, from cocktails to locally-sourced wine, light meals and spectacular views of the city in summer. For pure indulgence, guests can pamper themselves at the Despacio Spa Centre, which offers a wide range of beauty treatments, including hydrotherapy and massages. Business travellers at H10 Marina Barcelona can take full advantage of the 4 meeting rooms complete with all of the state-of-the-art equipment needed for any business event. 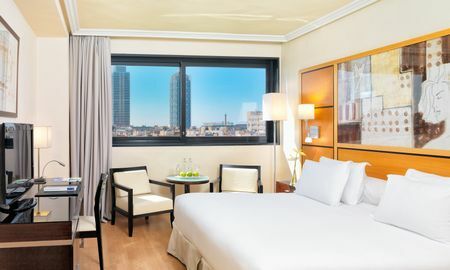 Just a stone's throw away from the warm Mediterranean sands of beautiful beaches, H10 Marina Barcelona is only a few minutes away from city hotspots, such as the Plaza de Cataluña and the Pasco de Gracia, one of the main avenues in Barcelona. H10 Marina Barcelona is a mere 100 metres away from Bogatell Metro, providing a 10-minute service to central Barcelona, and 15 kilometres away from Barcelona Airport.